In this guide, I will show you how to install Planet MMA on Kodi 18.1 / 18.0 Leia and Kodi 17.6 Krypton. The guide will work for all kind of Kodi devices including Amazon Fire TV Stick, PCs, and Smartphones. You will find a lot of Kodi addons for movies and TV shows. You will also find a few sports addons covering a number of popular sports. But, Planet MMA is the only addon that is dedicated to MMA and offers comprehensive coverage of this sport. This addon was formerly known as UFC Finest. However, due to some reasons, UFC Finest had to be shut down. Thankfully, it has returned with a different name and in a completely new package. Not only has the interface of the addon seen a makeover, it has also added a number of new streams from the latest events to the past telecasts. There are loads of streams for MMA related TV shows, game coverages, documentaries, and other UFC events. It truly is a treat to all the MMA fans out there. 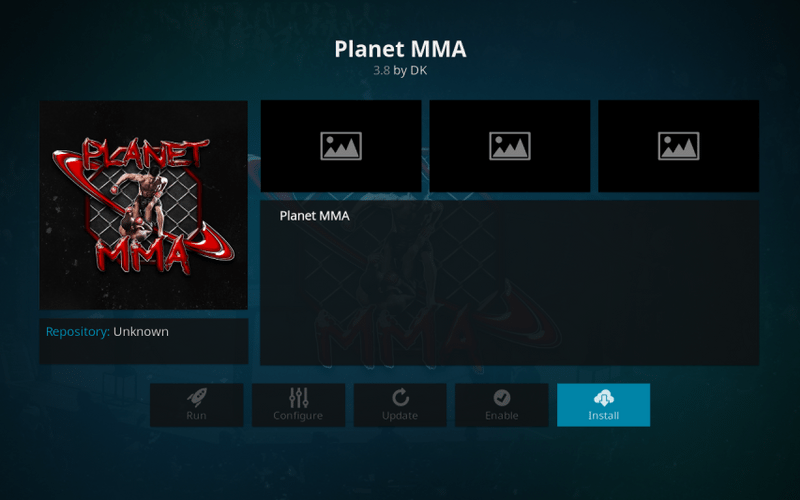 In this guide, I will take you through the installation process of Planet MMA on Kodi. As Kodi has the same interface across all platforms, the instructions in this guide are applicable to FireStick, PC, Android smartphones, Android TV and all other supported devices. Since Planet MMA is a third-party Addon, you will need to Allow Unknown Sources before you can download and install Planet MMA Kodi Addon. Here’s how to allow Unknown Sources on Kodi app. Now you’re set to install Planet MMA on Kodi. Follow the steps below. Type “supremacy” in the name field. You can choose a different name but try to keep it relevant so that you can recognize it later. 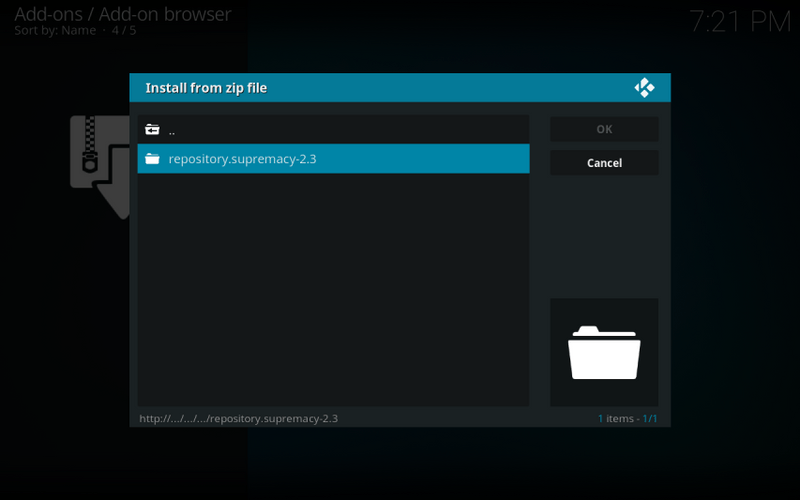 Open “Install from Zip File” and click “supremacy” which you added earlier. Click “repository.supremacy.x.x” and wait for success notification on the top right. Open “Install from Repository” and click “Supremacy” repo. Wait for a few seconds for success notification on the top right of your screen. 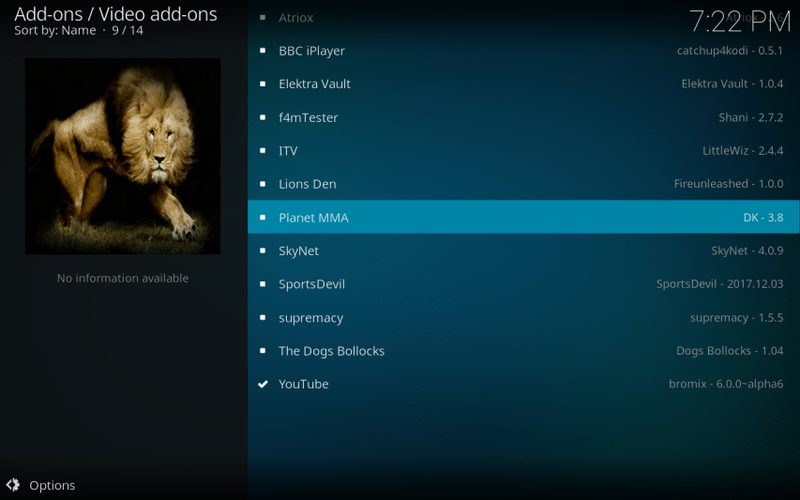 Go back to Kodi home page and you will find Planet MMA Addon in “Add-ons” section. Planet MMA Kodi addon was shut down not a very long time ago and had completely stopped working. But, the developers have reintroduced it and now it is fully operational. If you were trying to use Planet MMA during the period it was shut down, it wouldn’t have worked. Since it is operational again, go ahead and install it following the instructions we have shared above. It must work! In case you have reinstalled it and it is still not working, it could likely be due to the server issue. Planet MMA is a stable addon and server issues aren’t very frequent. But server problems are also not non-existent. If it’s the server that’s causing the problem, the only option is to wait for it to be functional again. The good news is that such issues are often temporary and are quickly taken care of by the developers. Add-on issues are not always server related. Sometimes, the problems are local and need to be fixed on your device. For example, Planet MMA will not work if it did not install properly. Or, there is a chance that some addon file may have corrupted. The local problems can be taken care of through some common fixes. When the add-on is not working at all, exit Kodi application and try and reboot your device. Rebooting is known to fix a number of problems, even the seemingly complicated ones. Restarting the device refreshes the operating system, clears the clutter in the memory and refreshes the apps as well. If rebooting does not work, it would be a good idea to uninstall and reinstall Planet MMA app. If a file is corrupted or did not install properly earlier, reinstalling the app will take care of the issue. 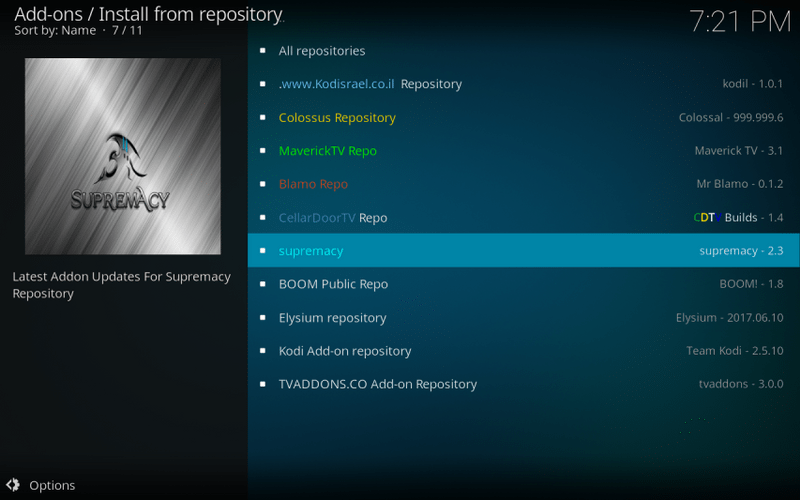 Go to the Kodi home screen and navigate to Add-ons > My add-ons. Select Planet MMA app from here and press the ‘Uninstall’ button. Now, reinstall the app by following our instructions above. In one of the installation steps above, you need to enter the URL of the source or repo from which you will install Planet MMA. The URL points to the location where the repository is saved on a server. It is important to enter the URL correctly or else it will not point to the right server location of the repo. The most common reason why an addon wouldn’t install on Kodi is that users often type in the URL incorrectly. 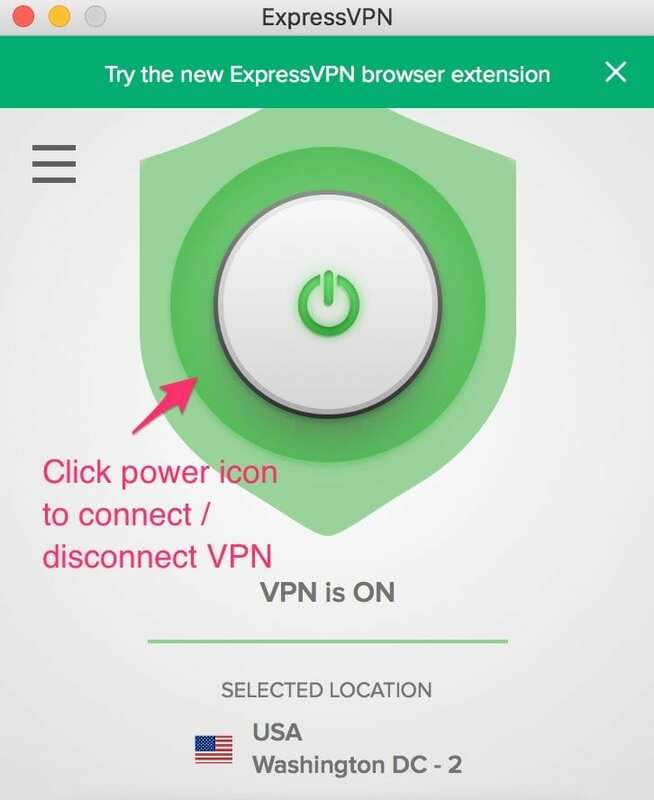 So, try reinstalling the app and make sure that you enter the URL exactly as it is shown. Of course, the server issues cannot be ruled out when you are experiencing installation issues. If the problem is at the server end, you will probably not be able to get past the step where you add the source even when you type in the URL correctly. As a result, the repository will not install and eventually, you won’t be able to get Planet MMA. As already said, for server issues, waiting is the only solution. Rebooting the device is also an option you would like to consider. It may resolve the issue. If nothing works, you may have to reset Kodi to default factory settings. Resetting Kodi will erase all the data including your addons and settings. You can also backup Kodi so that you can restore some of the data. You can follow my guide to install Kodi on FireStick. Failed to Install dependencies is another issue you may encounter. Go through our guide on How to Fix Failed to Install a Dependency to take care of this issue. If you are an MMA fan, you will love the Planet MMA experience on Kodi. This is perhaps the only Kodi addon dedicated to everything that’s MMA. From the recordings of the high profile matches to documentaries and UFC event coverage, you will find everything here. Planet MMA was shut down for a while but now it is up and running and seems stable. Go ahead and give it a try! ive installed planet mma but its not working? Hi, I just installed Planet MMA and it worked for me. Are you getting any specific error message? 7-28-18 planet mma will not install, dependancy missing. Hi Andrew, seems there is a problem with the addon server. Unfortunately, Planet MMA is from a third-party developer and there isn’t a lot we can do about it. Please wait for a few days and try to install it again.